Samsung’s One UI update has brought along a bunch of new features and of course the UI overhaul Samsung really needed. The entire UI looks a lot cleaner and also resembles stock Android a litter more when compared to Samsung’s Experience UI. 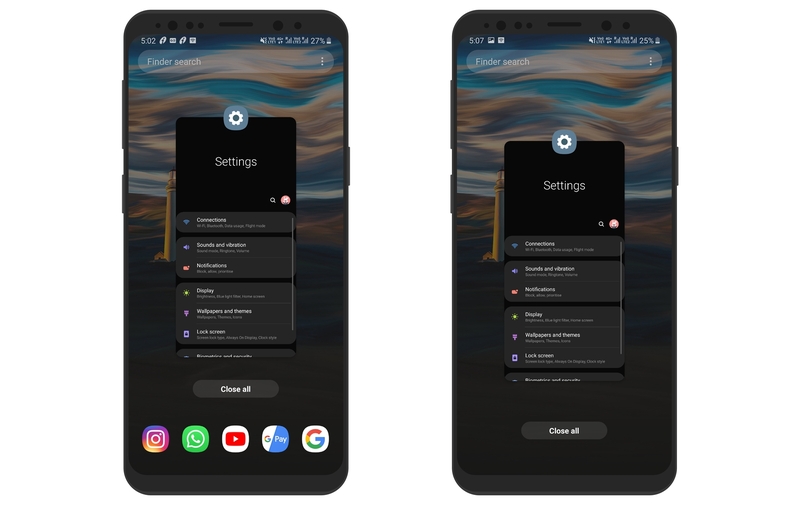 The One UI skin over Android 9 Pie is now available on multiple Samsung devices and speaking about UI changes, several users have been upset with the app suggestions which pop up in the recents page. While this feature might be useful for quickly launching apps via the recents page, some might also view it as unnecessary. If you belong to the ‘some’ group for whatever reason, and find this feature unnecessary, then, fortunately, there’s a way to completely disable the Suggested apps from the recents page. This will make sure that the app you don’t want to appear remains hidden along with other apps. Here’s how to toggle off Suggested apps from the recents screen on your Samsung device running One UI. See the method to turn off the suggested apps below. The entire process should take no longer than 30 seconds hence simply follow the steps below to remove the Suggested apps from the recents screen. Launch the recents screen by tapping on the recents key or using the Full screen gestures. Tap on the 3-dots icon which would be located at the top right of the screen. Now toggle off the Suggested apps option. Bring up the Recents screen again. You won’t see any apps below the Close all button now. Once you’ve turned off the Suggested apps option via the settings, you would no longer see the suggested apps when you’re in the recents screen. There’s also no need to restart your device or do anything else. In case you want to toggle on the feature, you could simply follow the same steps above and instead of turning it off, simply toggle on the Suggested apps option once again.